China's Lenovo led a sharp tech sell-off in Asia on Friday after a report said Beijing had used microchips inserted in US computer goods as part of a drive to steal technology secrets. Bloomberg News said the tiny chips were place in gadgets made for Amazon and Apple, and possibly for other companies and government agencies. The article comes as China-US relations are strained by a long-running trade war, claims of intellectual property theft by Beijing and an accusation China is trying to sway upcoming elections. The chip story "plays heavily into the view that the Sino-US trade stoush is not just about Trump's infatuation with the size of the US-China bilateral trade balance", said Ray Attrill, head of foreign exchange strategy at the National Australia Bank. "But is a much more geopolitical affair as well as being related to China's desire to dominate the technology sphere. It means that an early resolution of Sino-US trade issued is not a realistic prospect." The sell-off comes as tech firms around the world struggle on profit-taking following a healthy rally in recent years, while chip makers are also being hurt by falling demand. In morning Hong Kong trade PC maker Lenovo tanked more than 17 percent, while mainland-based telecoms equipment maker ZTE plunged 11.4 percent. AAC Technologies a Hong Kong firm listed in the city, sank almost two percent, while in Taipei HTC sank 3.6 percent, Realtek was almost seven percent off and Delta Electronics retreated 4.5 percent. "Electronics produced in China may be viewed unsafe due to this news, and tech shares are falling in general because of that," said Ray K W Kwok, an analyst at CGS-CIMB Securities Hong Kong. With around a third of its revenue coming from North America, Lenovo could be in particular trouble. And ZTE was already struggling to recover its losses for the year after collapsing 40 percent in June in response to a Washington decision to ban US companies from selling crucial hardware and software components to it for seven years. While the ban was eventually lifted after it agreed to pay a huge fine, its share price remains subdued. 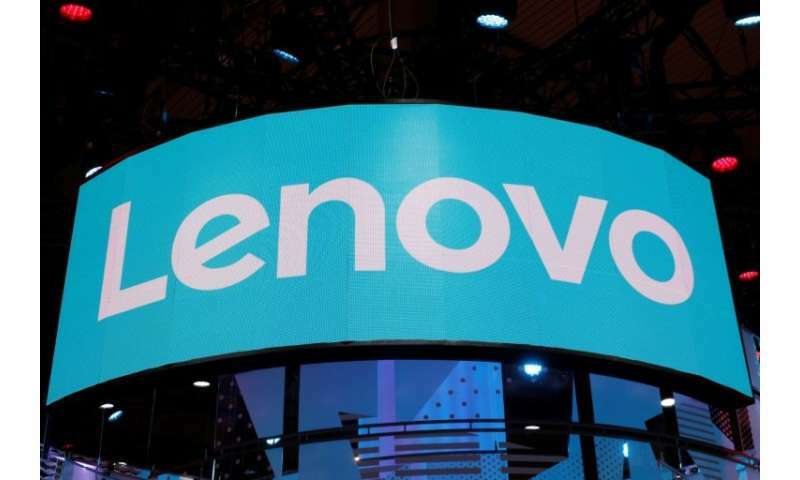 "The hack report has nothing to do with Lenovo, but since Lenovo sells PCs and servers there, some investors may have concerns on a sentiment level," Dennis Guan, a senior analyst at eFusion Capital. "It's just too hard to predict how things will develop." The report added to already tense relations between the world's top two economies as they slug out a trade war that has seen them impose tariffs on hundreds of billions worth of goods. Vice President Mike Pence added to the uncertainty by accusing Beijing of military aggression, commercial theft and rising human rights violations, while saying it was bent on interfering in upcoming US elections. "There can be no doubt—China is meddling in America's democracy," he warned.